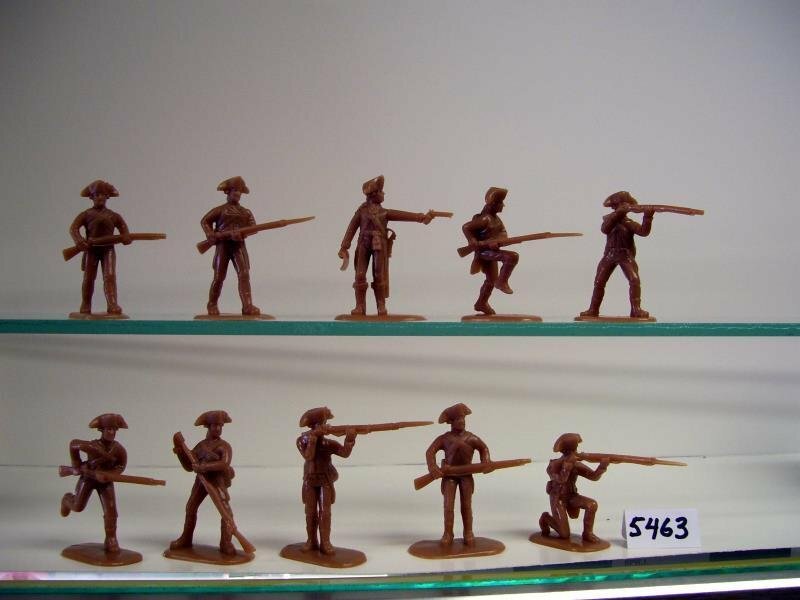 Armies In Plastic American Revolution Continental Army soldiers set. Comes with 10 Poses in 20 Figures - 1/32 scale (54mm) soft plastic figures. 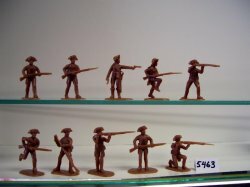 Phots same figures as 5463 (image below) but in dark blue plastic.